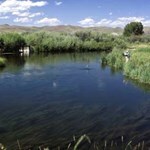 Beaverhead River Fly Fishing - It’s that time of year where you want to be using midges and streamer patterns. 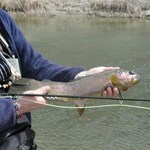 Poindexter Slough was okay fishing the deep pools with a Sparkle Minnow and swinging them slowly. 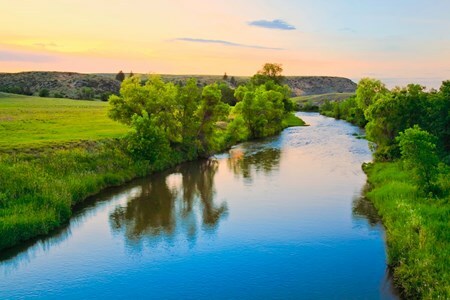 The Beaverhead is a nearly 70 mile long tributary of the Jefferson River. 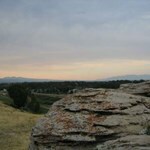 Its original course has changed due to the construction of the Clark Canyon Dam, as have its headwaters, once ... moreformed by the confluence of the Red Rock River and Horse Prairie Creek. These rivers, along with the first 6 miles of the Beaverhead, are now flooded as a result of the reservoir project. 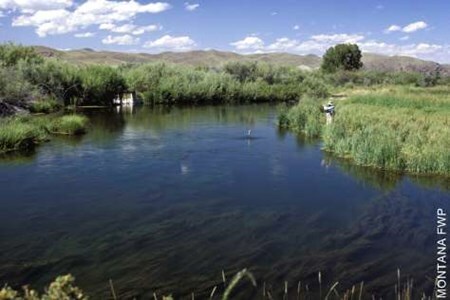 Today, the Beaverhead flows through a wide valley where it meets the Big Hole River and forms the Jefferson River. 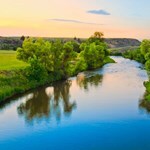 The river is well known for its clear, blue-green color, narrow, winding turns, willow-lined, undercut banks and thriving insect life that attracts fish. The origin of its colorful name can be traced back to the Lewis and Clark Expedition, when their indigenous guide, Sacajawea, recognized a large rock formation in the middle of the river known to her as the Beaver’s Head. According to Lewis, this indicated to her that they were close to the summer retreat of her Indian nation. 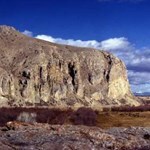 On August 15, 1805 the party reached her tribe, where one of her remaining brothers, Cameahwait, Chief of the Shoshone, provided crude maps, food and horses, making it possible to continue the Expedition through the mountains. On their return trip Lewis gave the river, once full of beavers, the name it now holds. 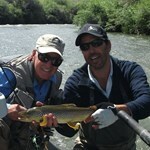 Fortunately, floating the Beaverhead in today’s world is much easier, more fun and amply rewarding. 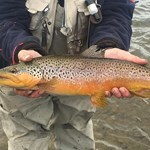 It is widely considered one of Montana's premier Brown trout fishing rivers, producing more large trout, particularly Brown trout, than any other river in the state. 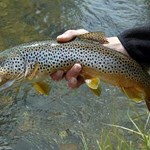 Due to its abundance of large trout, fly fishing the stretch near Dillon, from Clark Canyon Dam to Barrett’s Dam and through to Twin Bridges, tends to be very popular and get can crowded, even although the fish can also be hard to catch. 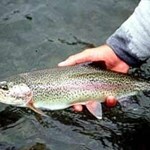 While large fish can be caught with dry flies, it is primarily a nymph fishing river along with a swiftly moving current, so expect to be constantly mending your line. The fishing has been good but watch the ice.